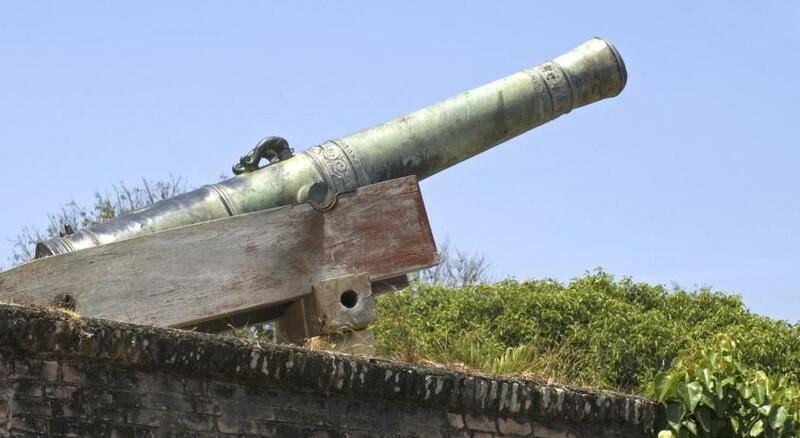 Lock in a great price for East Indies Mansion – rated 8.6 by recent guests! External areas very interesting with good decor preserving original shophouse features. Stayed here for the fourth time, this pretty much tells how much I love it. This is a historic building, everything is beautifully preserved and the vintage furniture really match the old house, it was like living in a lavish mansion back in the good old days. Every room is different and spacious, the room I stayed recently has a bathroom almost as big as the bedroom with a claw foot bathtub and a private balcony. It was a quiet and comfortable stay, staff are super friendly. The two inner courtyard are my favourite. 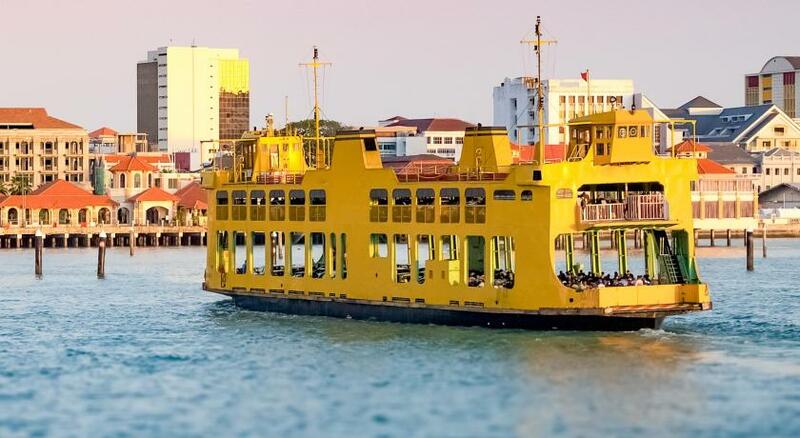 Location wise, it is just a 5 min walk from the jetty, the mansion is at Little India, so it's pretty much located at the heart of George Town. A lot of nice eateries in walking distance, there is no problem finding good food in George Town. The front desk closed on 8pm, better to inform the hotel management your arriving time for them to make arrangement in advance. Nice and cosy place. Big kitchen if you would like to cook yourself. Rooms are small but cosy and well maintained. Great location close to little India. Liked the open air common space in the middle of the building. We love this historical renovated mansion dating back to the 1700's! The quiet public spaces of the hotel, located in the very lively neighborhood of Little India, are lovely. The staff is also very welcoming and accommodating. The rooms and bathrooms are very large. The bed has lot of pillows and there is a seating area in the room. Everyday fresh water and cleaning are provided, along with some extra treats in the evening. Despite some quirkiness of it being an old mansion with odd room layout, we love it there. great small boutique hotel, spacious room with comfortable bed and spacious bathroom. Beautifully decorated in the room and outside. Perfect in every detail. All this at a reasonable price and with friendly service. No TV, but that's already what I like. I do not need TV in the room because Penang has so much to offer. The originality of the Mansion, staffs were helpful, clean, water strength for shower was good, heater works well. Close to all historical points, reached by walk. I like the heritage old style mansion feel, the room, beds, sofa, bathroom is great! Very spacious and clean. Feels like home. Comfortable. Free wifi, toiletries. Providing towel. The pillows so many and big. It's a quiet area. Good. East Indies Mansion This rating is a reflection of how the property compares to the industry standard when it comes to price, facilities and services available. It's based on a self-evaluation by the property. Use this rating to help choose your stay! One of our top picks in George Town.Set in a restored private mansion, East Indies Mansion is located in the heart of UNESCO World Heritage Site of George Town. 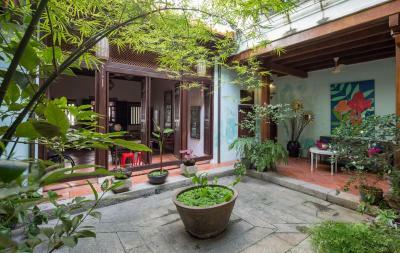 Inspired by Chinese shophouses, the property features a large courtyard and classic wall ornaments. Free WiFi is accessible throughout. Fitted with traditional wooden furniture, each room is air-conditioned and warmly lit. Certain rooms come with loft or duplex layout. The bathroom is furnished with free toiletries and a shower. Guests can enjoy a meal at the nearby Chinese and Indian restaurants, located within walking distance. You can relax in the airy courtyard surrounded by greenery or take a tour around the area. Laundry services and nearby parking are available at a surcharge, while daily housekeeping is free. 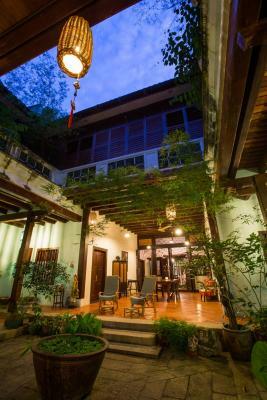 East Indies Mansion is 700 feet from Little India and Pinang Peranakan Mansion. Wonderfood Museum is just 400 feet away and the nearest airport is Penang International Airport, a 11 mi drive. When would you like to stay at East Indies Mansion? Located on the ground floor, this air-conditioned suite features traditional decoration and wooden flooring. Fitted with terracotta tiles, the attached bathroom has shower facilities. This spacious double story duplex features high ceilings and a seating area. The attached bathroom is accessible through a spiral staircase. Fitted with solid wood doors, this suite features high ceilings and parquet flooring. The attached bathroom comes with a shower and free toiletries. Suitable for 4 people, this spacious double story room features wooden furniture and a seating area. The attached bathroom is accessible through a spiral staircase. This 40 sqm room is fitted with wooden furniture and a sofa. Coffee/tea making facilities are available. The bathroom is located outside the room and is not shared. This larger loft features a living area and traditional terracotta tiles. The upper floor is accessible by stairs and the private bathroom includes free toiletries. Fitted with air conditioning and traditional decoration, this suite is located on the ground floor. The attached bathroom features terracotta tiles and comes with a shower. Located at the back of the mansion, this loft features elegant decoration and air conditioning. One of the beds is accessible via stairs. The attached bathroom is appointed with terracotta tiles and includes free toiletries. Overlooking the courtyard, this suite features high ceilings and elegant decoration. The attached bathroom includes a shower. This family suite features wooden flooring and a wardrobe. The attached bathroom includes free toiletries. House Rules East Indies Mansion takes special requests – add in the next step! East Indies Mansion accepts these cards and reserves the right to temporarily hold an amount prior to arrival. Please inform East Indies Mansion of your expected arrival time in advance. You can use the Special Requests box when booking, or contact the property directly using the contact details in your confirmation. It is quite difficult for Grab to find the place. Friendly staffs, Good Location, Serene Atmosphere, Privacy and feel home. Easy to communicate with staff, plus point My room was upgraded and this is my second stay! They really improve their service from my previous trip! Parking very limited and prepared the parking card. I like all about the East Indies. Good accommodation, nice place, awesome stuff, delicious food and overall was great. Kak mala and Nichols also very friendly and kind. You can ask them a place to go. The place super great and we are very enjoyable. Amazing beautiful little place in the heard of little India. Old vintage building with pretty garden and relaxing area. Spacious room and comfy bed. Height reccomanded. The air con didn't reach the lower floor which meant the kids found it hot (there is fan though). The location is fabulous and the hotel itself is really lovely. The staff are so friendly and helpful. All good. The separate bathroom was notified in advance and wasn't an issue. Beautiful place to stay ran by great people on the edge of Little India. The location in Little India is excellent - close to temples, the Fort and the jetties, Peranakan Mansion, and surrounded by delicious food options! The place itself is a beautifully restored 200 year-old mansion, and has lots of public gathering spaces - we were two families, 7 people altogether, and we enjoyed playing cards and games in the communal spaces and watching the rain fall into the patio garden through the sky well. Beds were super comfy, and our two kids enjoyed sleeping in the loft in our room. The staff were very kind, helpful and hospitable; and halfway through our stay the new management implemented a complimentary breakfast as well. We quite enjoyed the options at nearby restaurants for breakfast, and the staff were still getting used to the change of services offered, but there was at least one option for most diets (vegetarian and gluten free, for example). There is free filtered water in the kitchen and an electric kettle in each room. This was my sister's family's second stay here, and my family's first. We all enjoyed it very much and would highly recommend it. No breakfast. You have to get your breakfast in surrounding cafes or local food courts. Night staff was friendly but not very helpful. Rooms were clean and comfortable and quiet. Day staff was very helpful. The old Chinese mansion is very well preserved and interior design is really good. Toilet kept getting clogged up and wifi barely worked in our room and despite the hotel saying they were aware of the wifi issue and had a broadband connect available for the room, it took 3 days to be given it and we were checking out the next day. 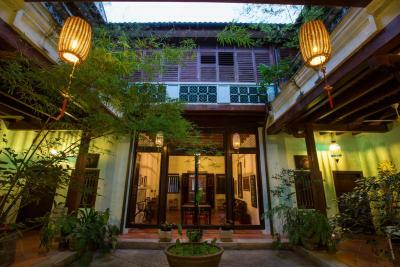 Amazing location in little India, walking distance to main attractions of the old town. The place is peacefull and the interior is great. The staff is very polite and helpful! Suggest put a small refrigerator in the room for drinks - but there is a 24hr mini mart a short walk away. It is a very good location in the center of Jorge town and I love the style of house because it is very traditional and I came from Fujian China and I could recognize it is very similar to my home town traditional house. The staff upgraded my room for free.